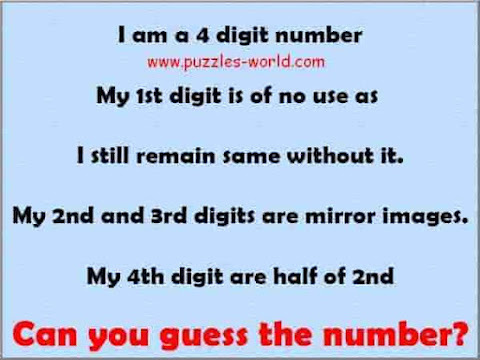 Can you guess the number ? Can you guess the number puzzle ? I still remain same without it. My 2nd and 3rd digits are mirror images. My 4th digit are half of 2nd.